In today’s globalized commodity markets, multicultural teams define high functioning and successful businesses. Building diverse teams is linked to higher productivity, employee satisfaction and higher retention rates. The Mining Industry Human Resources Council (MiHR) is taking a leading role in exploring the barriers and opportunities the sector faces in creating a more diverse and inclusive workforce. MiHR’s recently published series of reports explores for ways to increase newcomer and immigrant engagement in the sector. Join Hire Immigrants and the Mining Industry Human Resources Council (MiHR) for a conversation with Marie Bountrogianni, Dean of The G. Raymond Chang School of Continuing Education at Ryerson University, moderated by Ryan Montpellier, Executive Director of MiHR, on how to leverage and successfully build effective cross-cultural teams for your workplace. As a former Ontario cabinet minister, Dr. Bountrogianni served as minister of a number of portfolios including Intergovernmental Affairs, Democratic Renewal, Children and Youth Services, and Citizenship and Immigration. During her time in office, she was instrumental in negotiating a number of landmark federal-provincial agreements and in authoring the Accessibility for Ontarians with Disabilities Act (AODA), which established Ontario as a world leader in accessibility. In 2015, she was appointed by the Ontario government as Chair of the Selection Committee for the David C. Onley Award for Leadership in Accessibility. Prior to entering politics, Dr. Bountrogianni was the chief psychologist for the Hamilton Wentworth District School Board. Marie has taught at Ryerson University, Seneca College, McMaster University and Wilfrid Laurier University. She holds a doctorate in Applied Psychology from the University of Toronto. She is a board member of Northland Power Inc. and the Human Resources Policy Committee of the Canadian Chamber of Commerce. 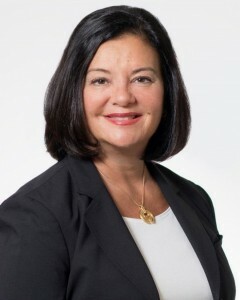 In 2014, the CBC named Marie as one of the top 10 most influential alumni at the University of Waterloo and in 2015, she was further recognized by Her Campus Waterloo as one of five influential women who have graduated from the University of Waterloo. 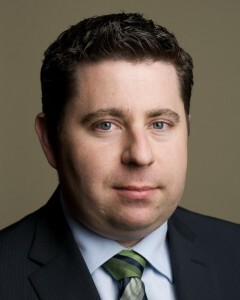 Ryan Montpellier is a recognized leader in the area of mining labour market and HR issues and challenges. Since his appointment to Executive Director in 2008, he leads all activities of MiHR and represents the Council publicly. He is a past recipient of the Canadian Institute of Mining – Young Leadership Award, the International Association of Business Communicators Gold Quill award and is also a past Distinguished Lecturer for the CIM. Ryan is a long-standing staff member of the Council, initially joining as a project manager and serving as the Council’s Director of Operations. Prior to joining MiHR, he held various leadership positions with high-tech companies in the Ottawa region. Ryan holds a number of degrees including an MBA and a Project Management Professional (PMP) designation.